Howdy-doody folks! As you might have noticed, video has soared during the last 12 months, with a 17% leap in use which looks likely to carry on into 2018. 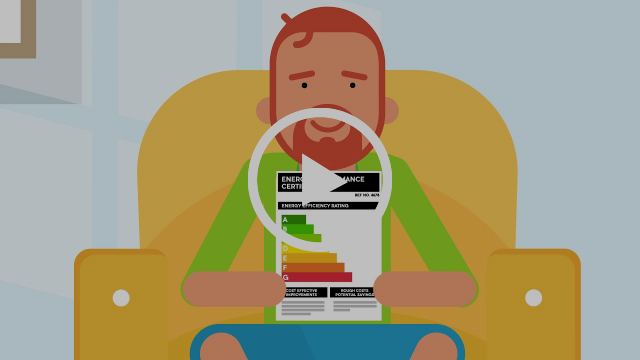 Wisely, our clients at The Welsh Government realised this and commissioned an animated explainer video to inform landlords of the new laws surrounding performance ratings and Energy Performance Certificates (EPC). They know that the best and most efficient way to engage with audiences is through video. After all, 97% of marketers say video has helped increase user understanding of their product or service. We are thrilled to have been part of the project and we'd like to say thanks so The Welsh Government, Rent Smart Wales and Severn Wye Energy Agency for supporting a small local business, here in Wales. Video continues to benefit a wide variety of businesses. It increases user understanding and consumers continue to value video content highly as part of their buyer journey. Viewers use video as a starting point to build their knowledge about a product or service. There's also no reason at all, why it can't be done with a huge injection of personality, something we're very keen on here! If a video is something you've thought about but you don't really know where to start, just give us a shout. It's much easier than you think and we can handle everything from the scripting to the final voiceover. So get in touch! Y'know, if you want to.